Thank you very much for rapid response to a headstone photo request. It saved a lot of time and travel I did not know it existed until viewed on your site. 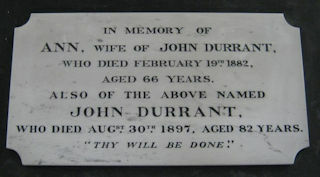 When did John Durrant die?